French President Francois Hollande leads a national tribute at Paris Prefecture for the three officers killed during last week's attacks by Islamic militants, January 13, 2015. 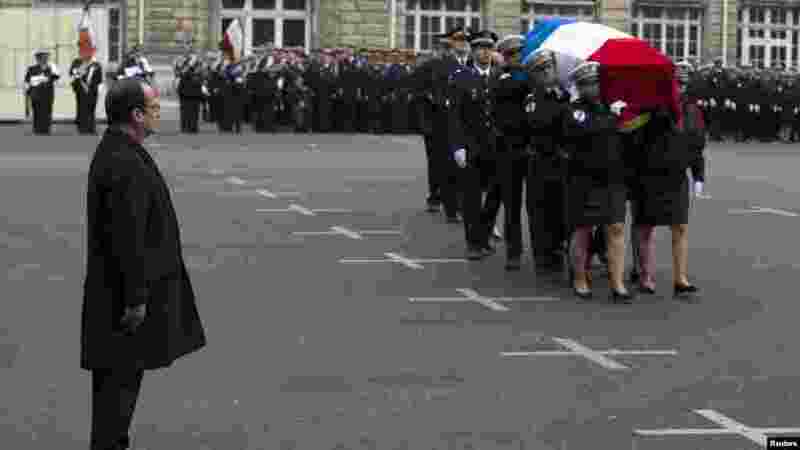 1 French President Francois Hollande looks at a coffin as he attends a national tribute at Paris Prefecture for the three officers killed during last week's attacks by Islamic militants, Jan. 13, 2015. 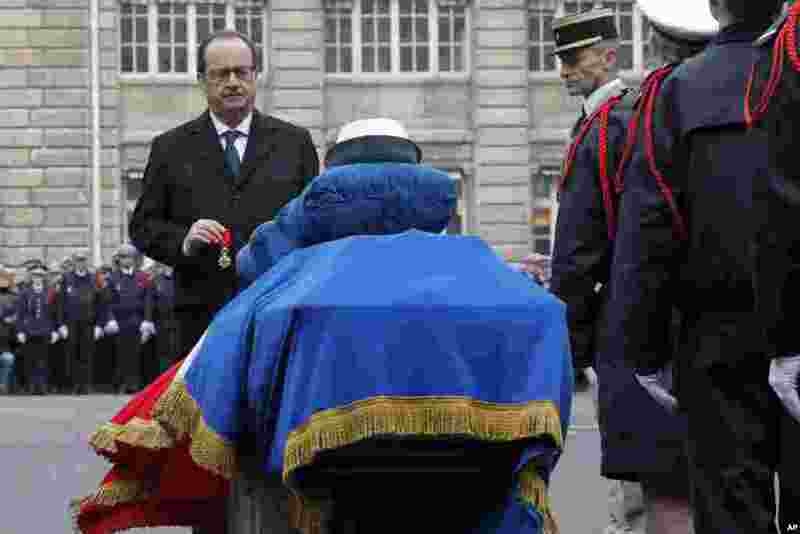 2 French President Francois Hollande holds a medal in front of the coffin of Police officer Clarissa Jean-Philippe during a ceremony to pay tribute to the three police officers killed in the attacks, in Paris, France, Jan. 13, 2015. 3 Prime Minister Manuel Valls, center, dries his tears, next to French President Francois Hollande, left, and Paris Mayor Anne Hidalgo during a ceremony to pay tribute to the three police officers killed in the attacks, in Paris, France, Jan. 13, 2015. 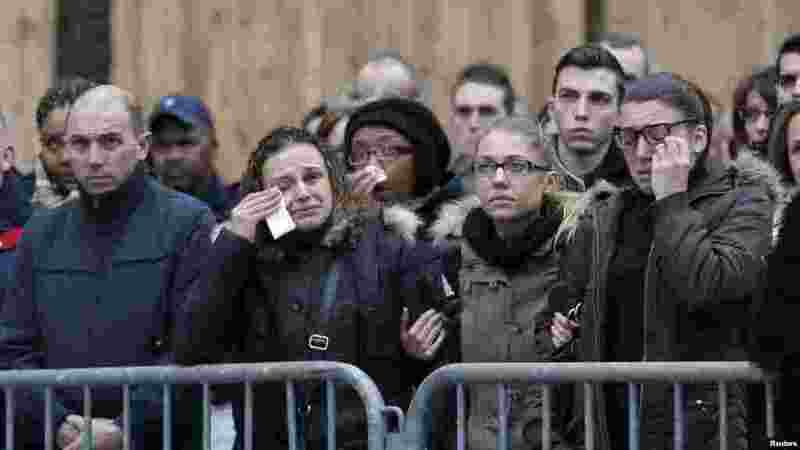 4 People react as they attend a national tribute for the three officers killed during last week's terrorist attacks, in front of Paris Prefecture, Jan. 13, 2015.